The Sonderanhänger 203 (Sd. Ah. 203) - special trailer 203 - was constructed in the same way as the Sd. Ah. 202. Both carriages could be used as front and rear part. 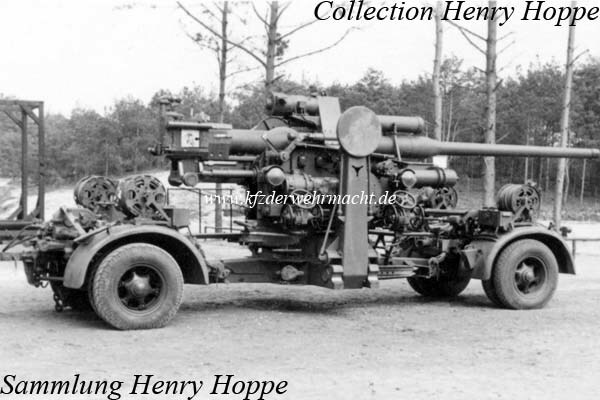 The mount of the 12.8cm Flak 40/2 could be transported besides the shown 10.5cm Flak 39.